Klaveness Digital and Maersk Tankers have joined forces to drive the development of intelligent digital solutions.The partnership will give Maersk Tankers access to Klaveness Digital’s digital platform, enabling the company to store and manage large volumes of commercial and operational data. This will bring digital solutions to the market faster and bring cost benefits to both parties.Klaveness Digital has developed a cloud-based digital platform for storing, processing and exporting commercial and operational shipping data to tailored applications and users. The board of directors of Caterpillar Inc. has appointed Ogi Redzic as a vice president to lead the company’s Digital Enabled Solutions Division (DESD), effective July 30, 2018. He will be based in Caterpillar's Chicago office and report to Group President of Customer & Dealer Support Bob De Lange.DESD is comprised of the company's data analytics group, the enterprise data hub, equipment management tools, Cat Connect technologies and customer experience portals.Redzic takes over for Caterpillar Vice President Julie Lagacy, who has led DESD on an interim basis. Wallenius Wilhelmsen, the global finished vehicle logistics provider, has signed an agreement to acquire 70% of the membership interest in Syngin Technology for an initial purchase price of USD 22 million on a cash and debt free basis. "The future of logistics lies in combining digital services, physical assets and a deep understanding of logistics flows. With Syngin we boost our digital capabilities, setting us up to better support the changes we see in our customers' needs for the future", says Craig Jasienski, President and CEO of the Wallenius Wilhelmsen group. Port of Rotterdam Authority presented the first version of its new digital application Pronto. Pronto constitutes a major step forward when it comes to improving efficiency for the some 30,000 vessels that call on Rotterdam every year. The application allows ships visiting the port to cut their waiting time by an average of 20 percent. The application enables more effective utilisation of capacity at the port terminals, as well as the precise planning and coordination of a range of vessel services, including bunkering, servicing and maintenance and provisioning. MINSHIP Shipmanagement, based in southern Germany, has chosen DNV GL’s ShipManager fleet management software solution for its fleet of dry cargo vessels.MINSHIP is optimizing processes as they are managing a growing fleet. 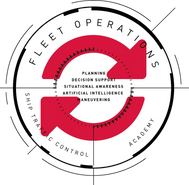 A key part of the optimization involves replacement of various separate systems and spreadsheets for ship management activities with a user-friendly and integrated fleet management solution.“Our future outlook focuses on becoming more digitalized,” says MINSHIP Deputy Fleet Director Christian Altmann. E-navigation specialist NAVTOR said it has appointed Anders Holme for the role of Chief Technology Officer. Holme will manage teams that work across offices in Egersund, Norway, Singapore, Japan, Sweden, Russia, the U.S. and U.K. NAVTOR’s main software development takes place at the company’s head office in Egersund and its dedicated base in St Petersburg. “There is a growing appreciation within shipping that new technology can unlock real operational advantages and business opportunities,” Holme said.